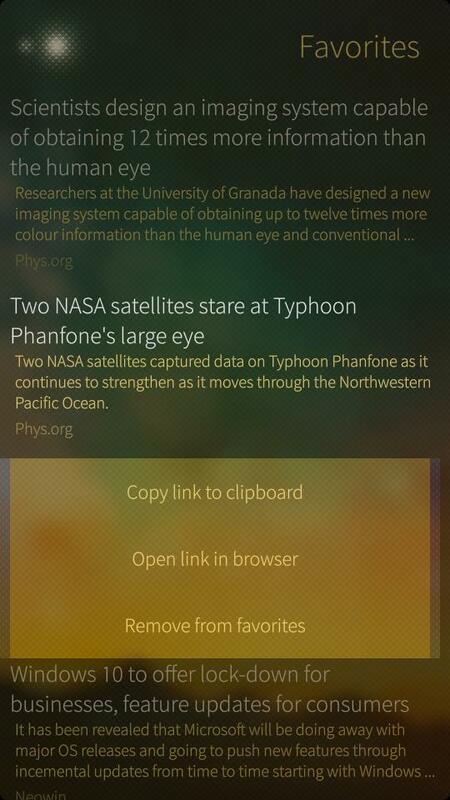 Haikala is an unofficial High.fi news portal feeds reader app for Sailfish OS with simple and easy-to-use UI. It provides functionality like selecting different news categories, favoriting news items, opening news in web view, search and switching news region. 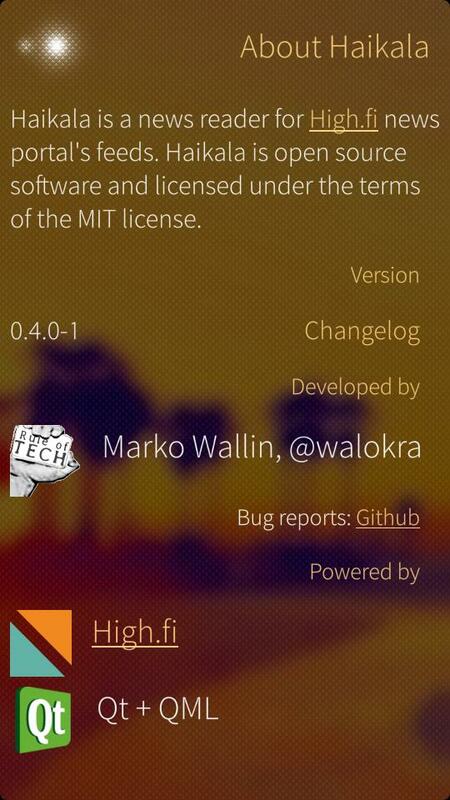 Haikala is open source software and licensed under the terms of the MIT license. High.fi is a news portal which aggregates news topics from different news sites from i.a. Finland, United States, Germany, Sweden and Netherlands. 0.8.0-1: Adjust UI for tablet. Use new API variables. 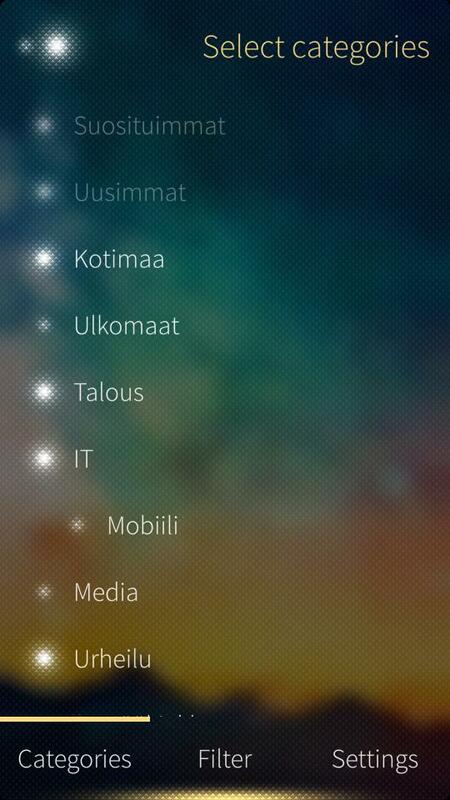 0.7.0-1: Main functions in toolbar. 0.6.1-1: Fix Qt 5.2 WebView chokes on caches from older Qt versions. 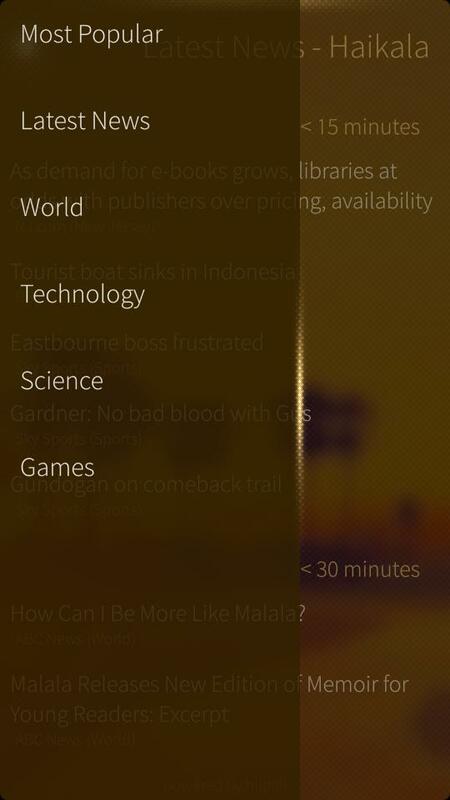 0.6.0-1: Filter shown news categories. Added sub categories to category selection. 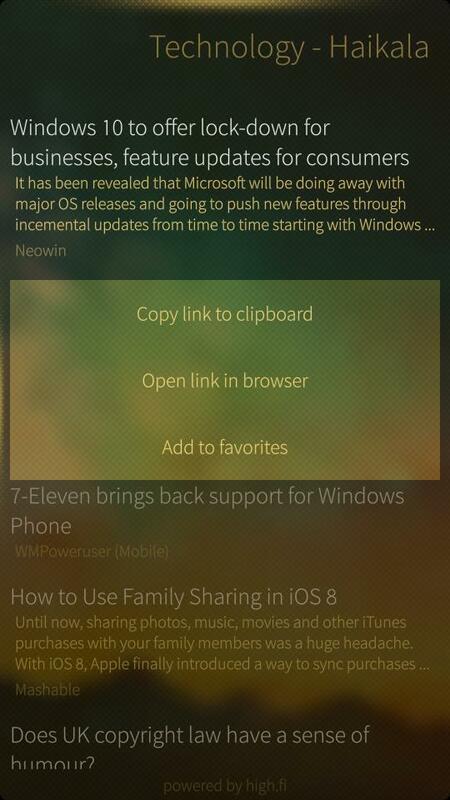 0.5.0-1: Add news item to favorites from item's context menu. Option to reset application settings and favorited items. 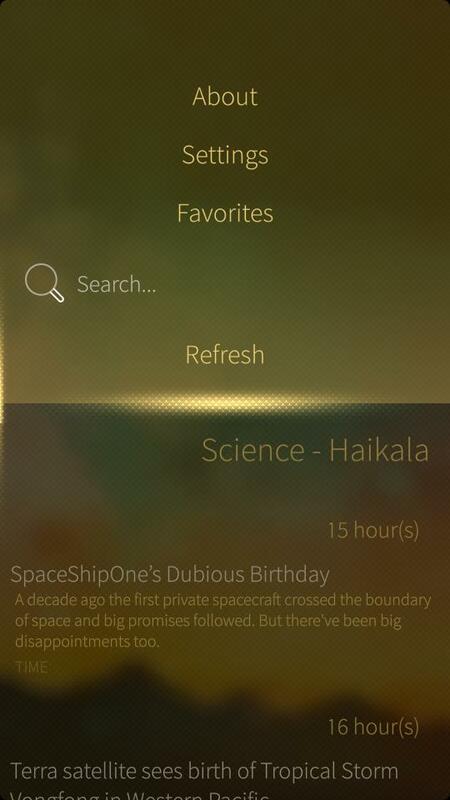 0.4.0-1: Search functionality. Switch the region for news categories. Settings are saved automatically when changed. 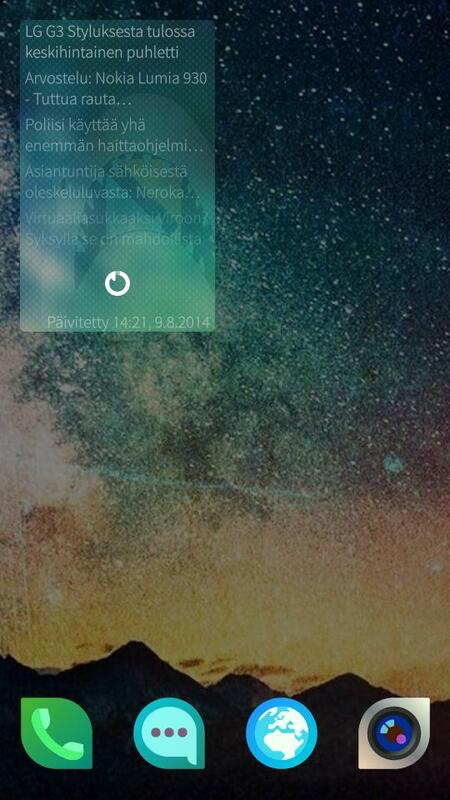 0.3.1-1: Fixed paging with fixed API. Minor UI fixes. 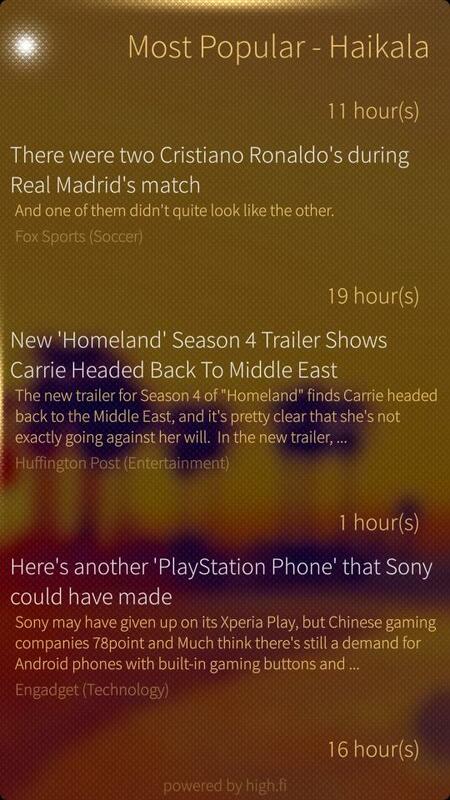 0.3.0-1: Cover page shows latest headlines. Updated functionality to match new API for better usage possibilities. Show descriptions and use mobile optimized URLs. 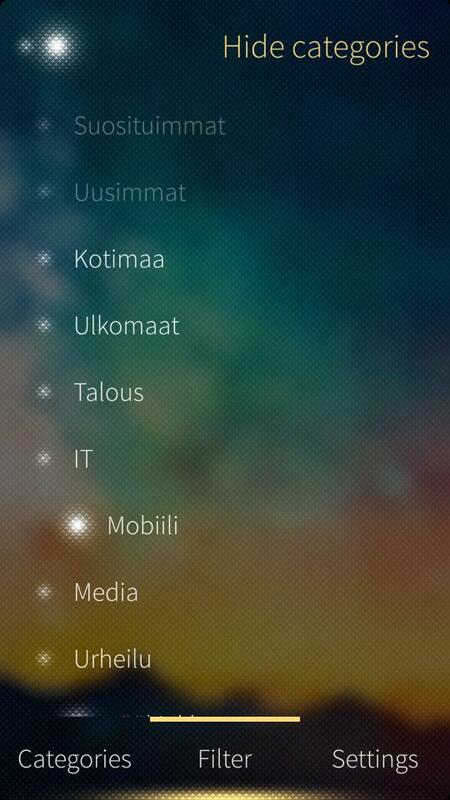 Settings for showing description and mobile URLs. Copy original URL or mobile URL to clipboard. Pagination for getting more headlines. 0.1.1-1:Clearing old feed items on refresh. Added abort to cover action. 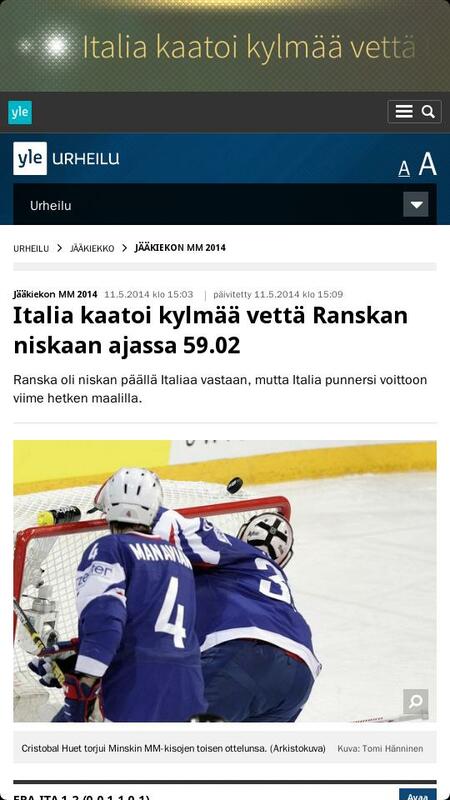 0.1.0-1:Initial working version with translations and feed selections.